Preheat the oven to 400 degrees. 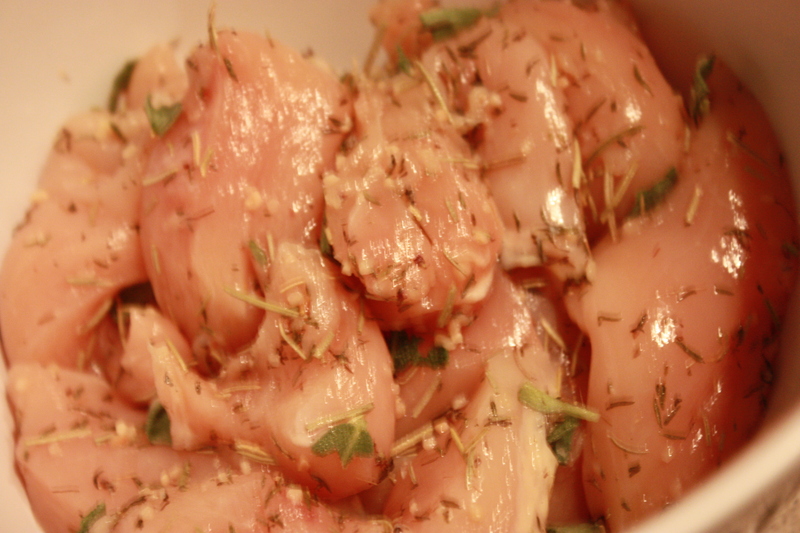 Slice the chicken breasts into smaller strips or in half depending on the size of the breast. Peel and square the potatoes. 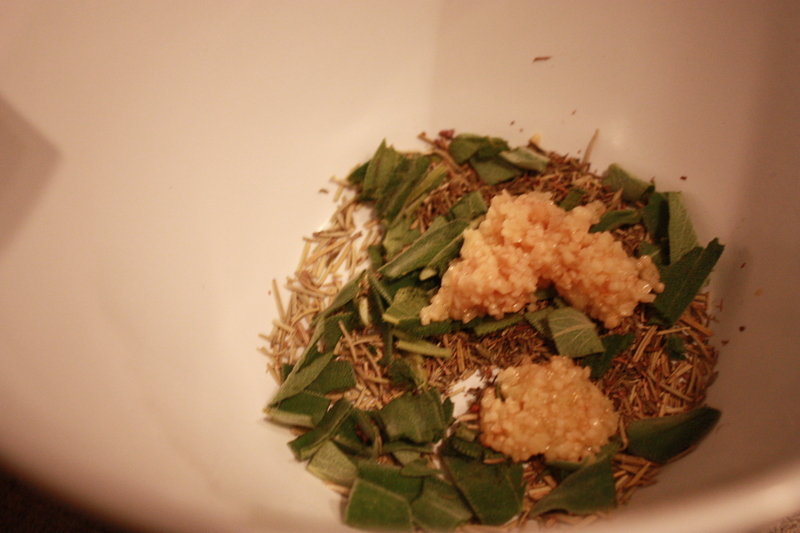 Add the rosemary, thyme, sage, and garlic in a bowl or plastic bag. Add the chicken and mix really well making sure every piece gets covered. 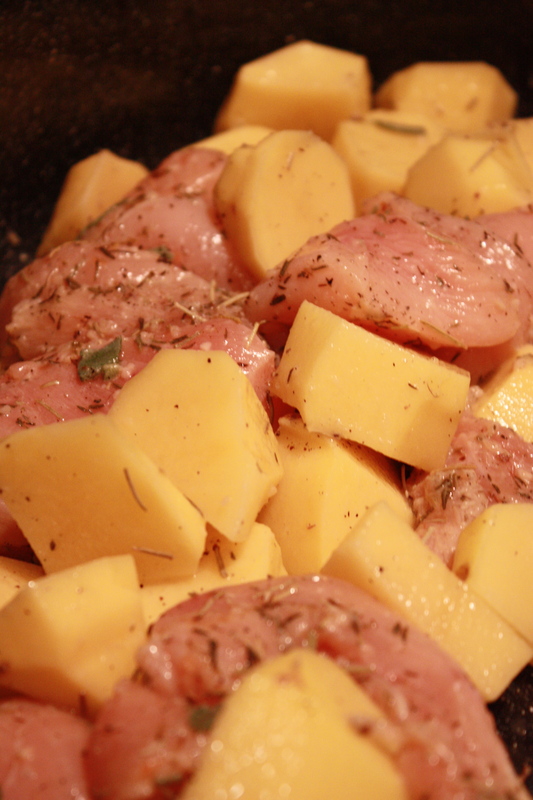 Throw the potatoes into an oven safe pan with some oil, add the chicken and mix together. 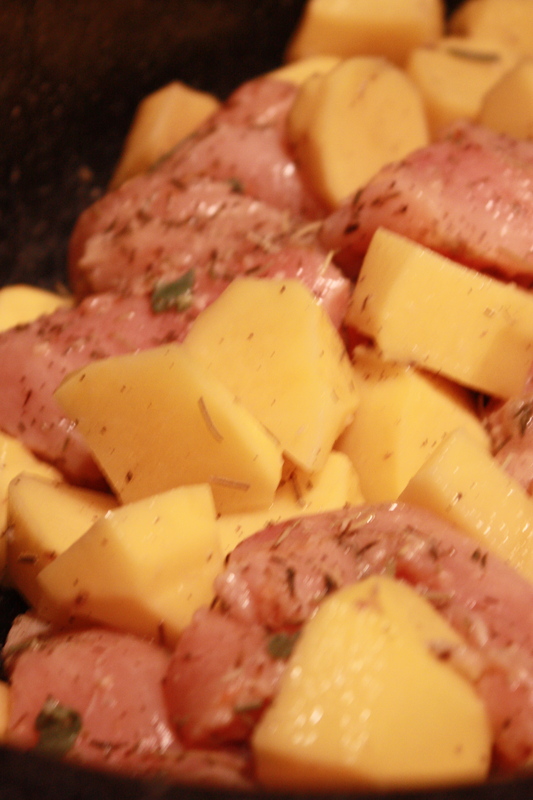 Pour some lemon juice around in the pan with the potatoes and chicken. Bake covered at 400 for 30 minutes or until the chicken is no longer pink in the middle. Make sure to stir/flip the chicken a few times half way through. 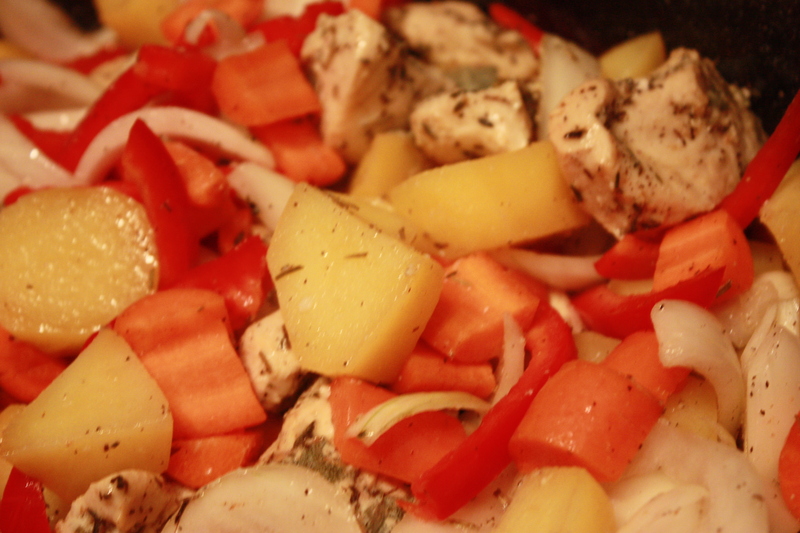 Chop up all the veggies, drizzle them with some oil, salt and pepper and add the chopped up veggies (carrots, peppers, and onions) to the pan with the chicken and potatoes. Uncover the pan and let this cook for another 20 minutes. 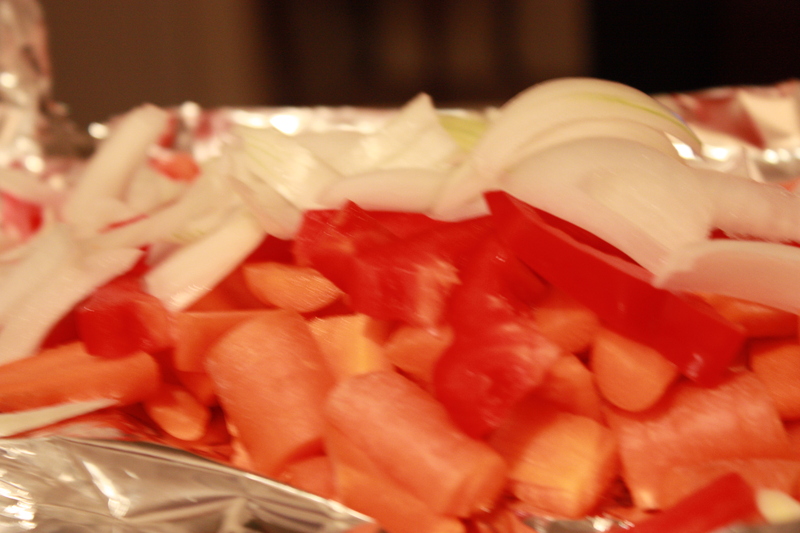 If the chicken is done, take it out and leave it in another plate until the vegetables soften up. The aroma from the sage and spices on the chicken will smell up the house so nicely you will love it. I served this over brown rice but i think the only thing i would like to do next time is make a yogurt sauce to serve with the chicken. This came out SO good that i have to make it again. 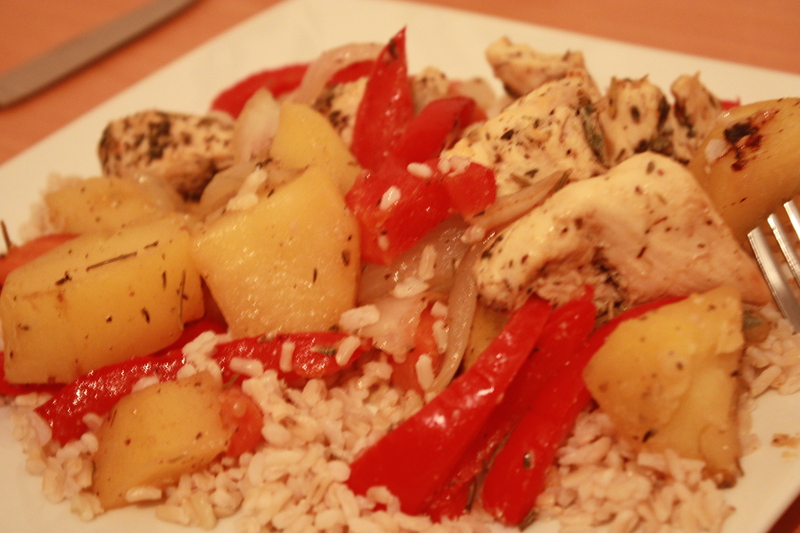 and did i mention easy and healthy?